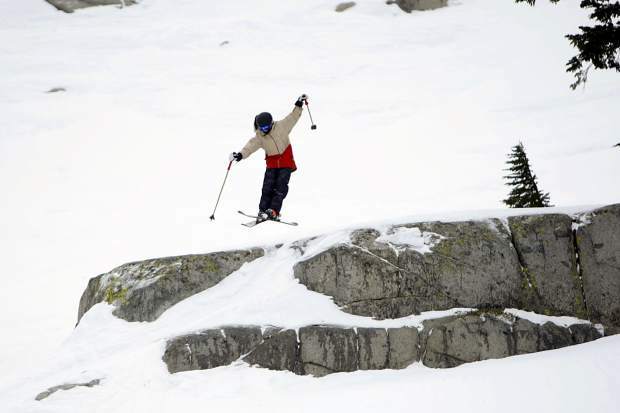 A youngster flies off a cliff at Squaw Valley’s North Bowl on Sunday, Feb. 11. 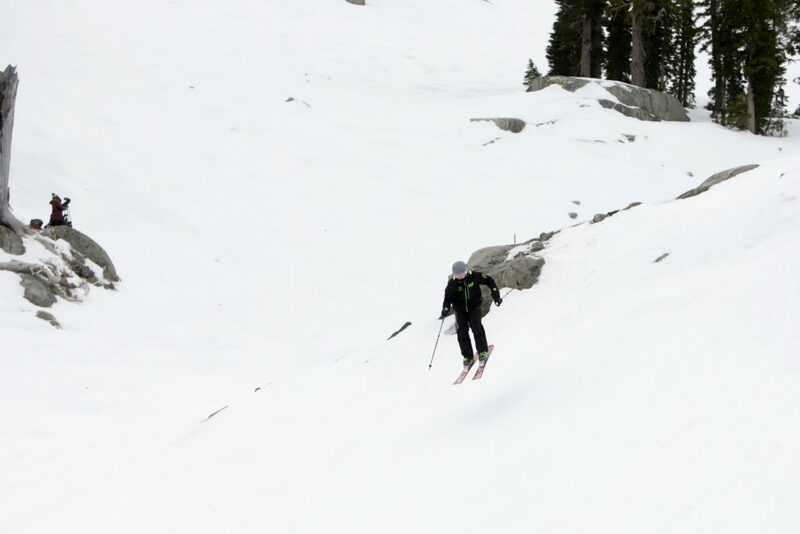 More than a hundred skiers and snowboarders took to Squaw Valley’s North Bowl for three days of competing. 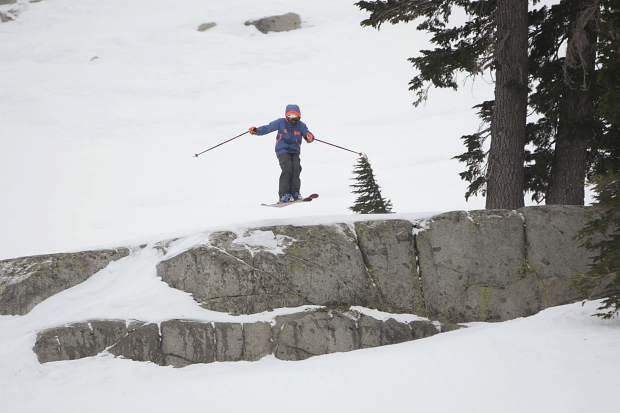 Tahoe Junior Freeride Series competition at Squaw Valley Alpine Meadows on Sunday, Feb. 11. 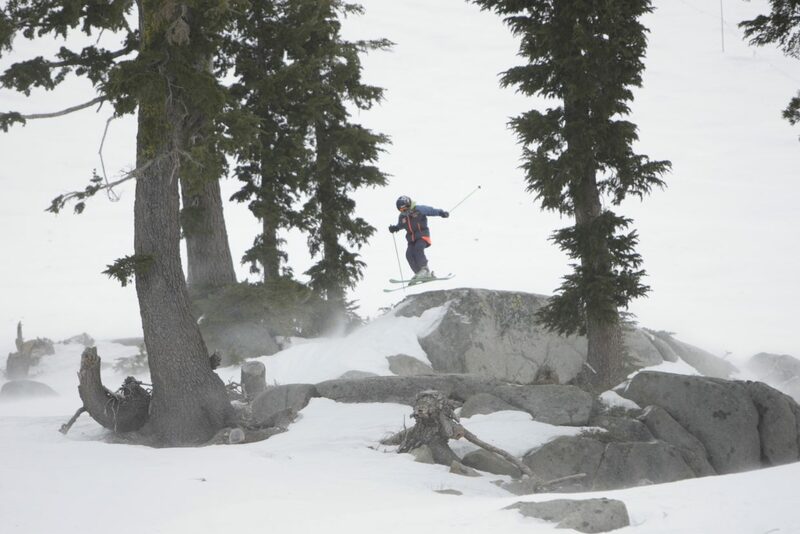 The Tahoe Junior Freeride Series held its first event last weekend at Squaw Valley Alpine Meadows. Conditions were extreme for the skiers and riders of the Tahoe Junior Freeride Series with icy terrain and enough wind on Sunday, Feb. 11, to force officials at Squaw Valley to shut down lifts on the upper part of the mountain. 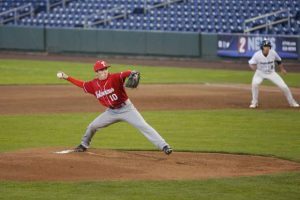 Those conditions, however, are part of the game and did little to dissuade more than 100 youngsters from throwing it down during three days of competition from Feb. 9 – 11. 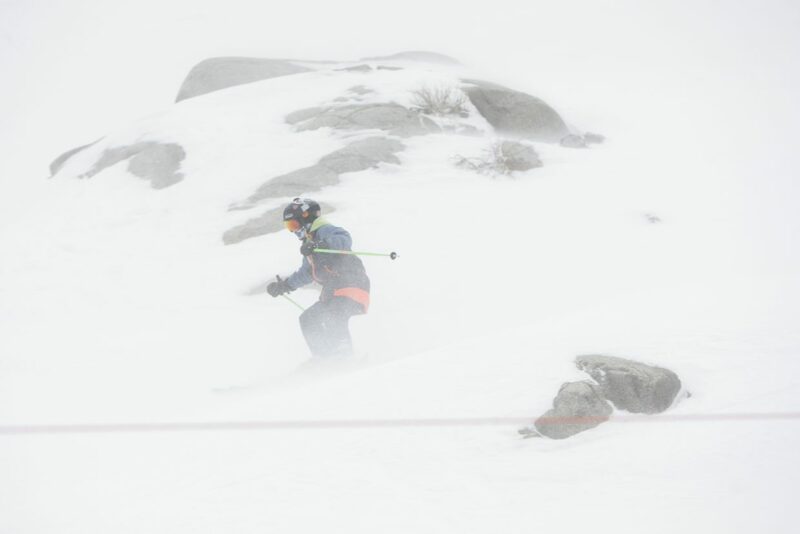 Athletes from the area’s big mountain and free teams took to Squaw Valley’s North Bowl on Friday for the opening day of competition, blasting down the run’s steep upper section before picking a line and sending it off one of several cliffs. 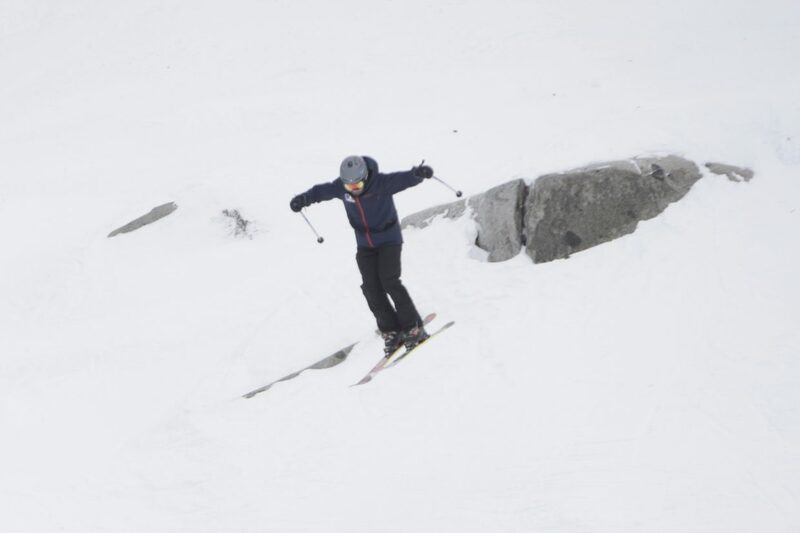 Judging for the three-day event, according to Tahoe Junior’s website, is based on five categories: line, control, technique, fluidity, and style and energy. And during each of the two girls’ 15- 18-year-old competitions, none were better than Squaw Free’s Britta Winans. “I’ve been training in these conditions and I just put it together. The girls crushed it,” said Winans of her and her teammates’ performances. Squaw Free would take four of the top five places during the first day of competing, and three of the top five spots in the second day. Winans said her fluidity and poise while in the air are what led to her winning the first two events of the season. Winans, who said she began skiing at age 2, finished with 35.400 points in the first day of competing. Teammate Lily Bradley was just behind 34.833, followed by Sugar Bowl Ski Team and Academy’s Mackenzie Winton with 33.567 points. Winton would get third in the second day of competing as well. Squaw Free’s Elena Silverman was second. On the boys’ side, Alpine Big Mountain skier Westan Lubin topped a field of 45 competitors in the 15- 18-year-old division’s first round of action with a score of 37.200. Squaw Valley Big Mountain Team’s Alan Tester was second with 37.000 points, followed by Sugar Bowl’s Cooper Davis with 36.767. 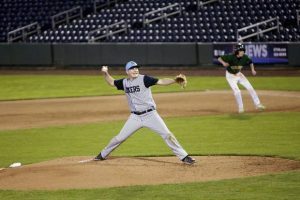 The boys were scheduled to return the to the mountain two days later, on Sunday, Feb. 11, but do to the high winds and a deep field of 12- 14-year-old boys, officials were forced to cancel the competition. 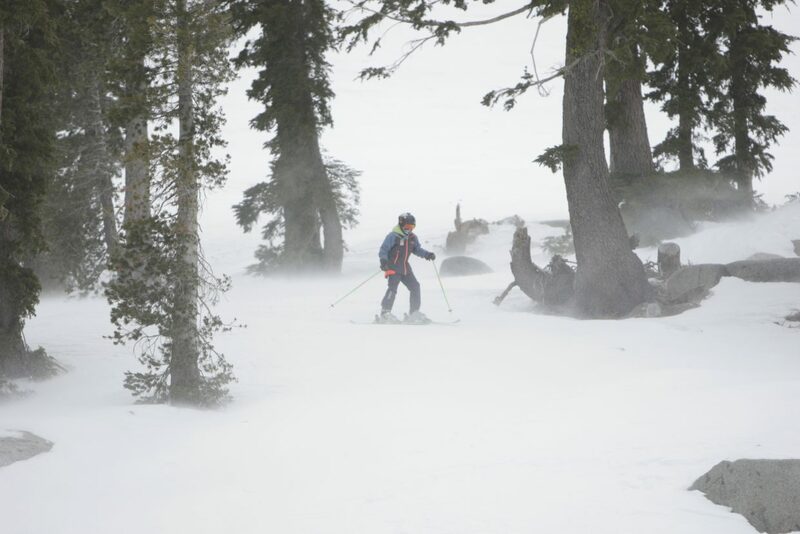 Racing during the day saw the start line lowered due to the conditions, and after the winds picked up even further — with Squaw reporting gusts as high as 75 mph — the older boys’ event was canceled. 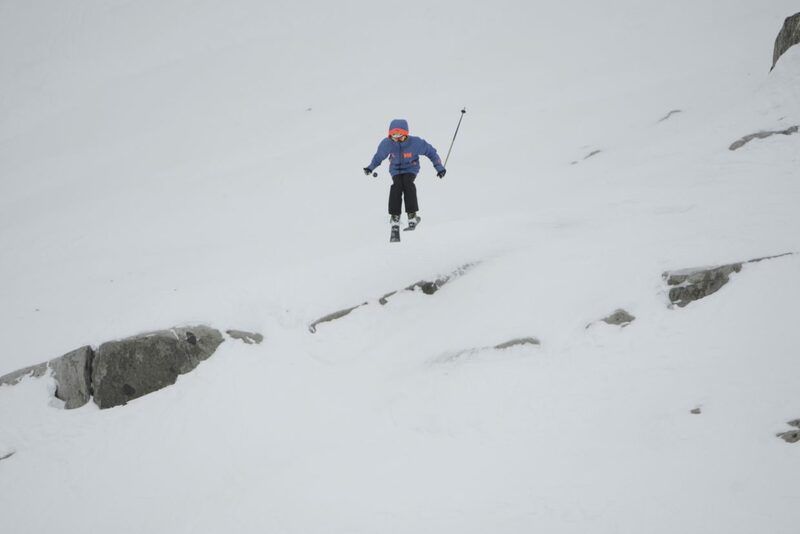 Race officials barely completed the boys’ 12- 14-year-old round with the last skier choosing to hike North Bowl after missing the final lift. In the opening round of the boys’ 12- 14-year-old division, Squaw Valley Big Mountain Team’s Ryder Schwartz led a podium sweep for the team. Gavin Weber was next with 33.500 points, followed by Sage Boyer with 33.400. On the girls’ side, Squaw Free’s Greta Farrell picked up a victory over eight other girls in the 12- 14-year-old group with 33.333 points. Squaw Valley Big Mountain Team’s Delila Quinn was next with 32.633 points, followed by Squaw Free’s Andersen Guy with 29.133. 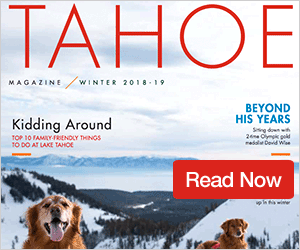 The Squaw Valley Big Mountain youngsters continued to ski well in the second round, with Matt Seline taking the win, followed by Squaw Free’s Braden Osborn in second, and Weber in third. On the girls’ side, Kirkwood Freeride’s Madison Ringham took home the win, followed by Quinn and Squaw Valley Big Mountain Team’s Maci Beck in third. Traditionally the series has been made up of skiers, but around four years ago snowboarding was added to the list of events. And while the fields aren’t nearly as deep as the ski team’s, there were plenty of riders holding it down during two days of competing. 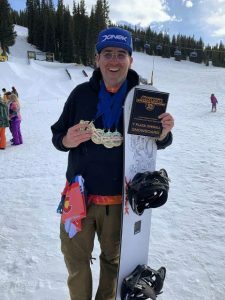 During the day’s first competition, Squaw Alpine Snowboard Team’s Andrew Kraatz led the way with a high score of 32.367 for first place. Squaw Alpine’s Nathan Bromley was next with 32.067 points, followed by teammate Tiden Wooley with 31.900 points. Squaw Alpine Snowboard Team’s Jesse Aves stepped it up in the second round, throwing a 360 off one of the features to claim first place with 31.167 points. Bromley was second with 30.167, followed by Wooley with 30.333 points. 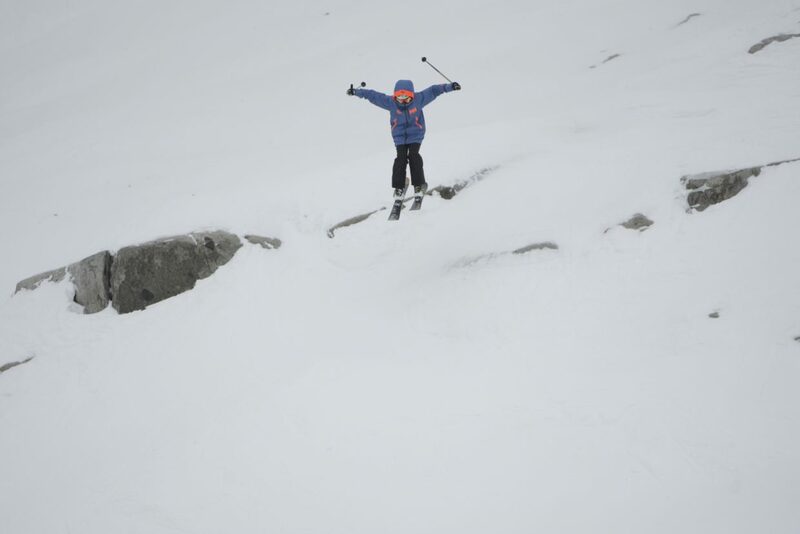 Kraatz and Aves will represent the team at the Freeride Junior World Championship on March 21 – 23 in Kappl, Austria. “They are both riding really well, and I’m pretty excited about that,” Pyatt said. 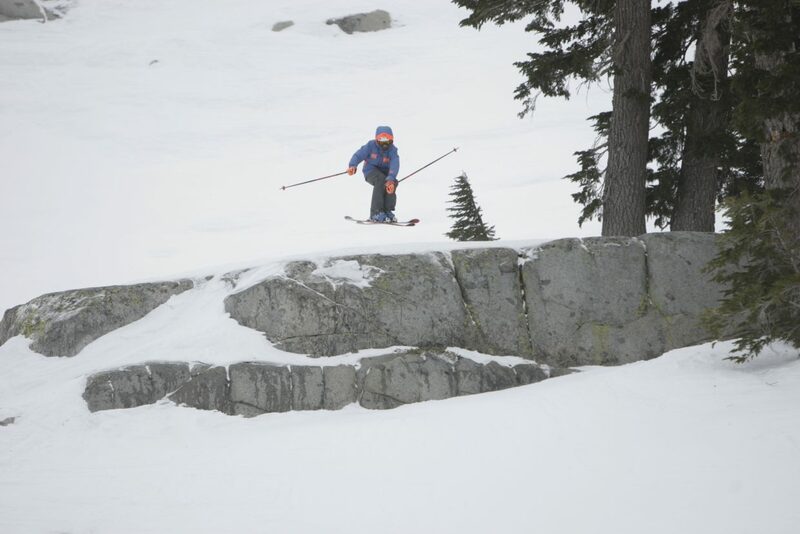 In boys’ 12-14-year-old racing, Squaw Alpine’s Ryland Morrison took the win in the opening round with 30.767 points, followed by teammates Sam Briggs in second with 23.367 points, and Kai Davi with 22.600. 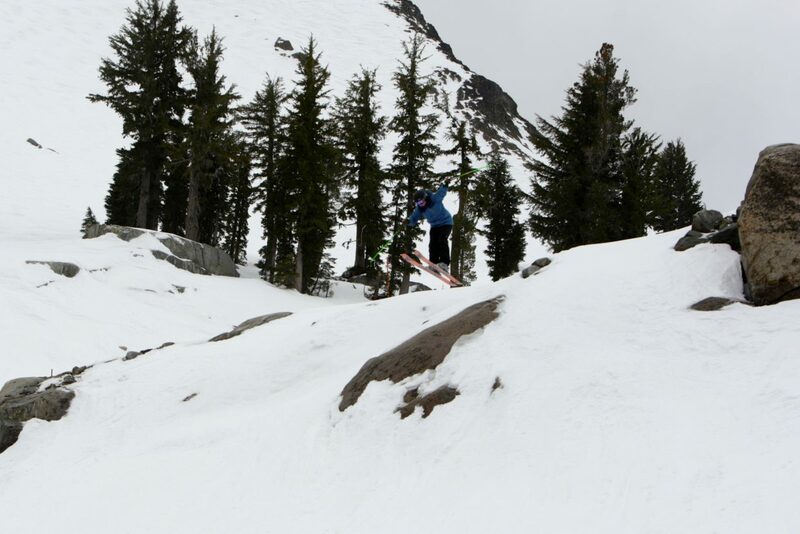 Squaw Alpine’s Soren Kraus won the second day’s event with a score of 31.000. Tavo Sadeg was next with 28.933 points, followed by Briggs with 26.467 points. 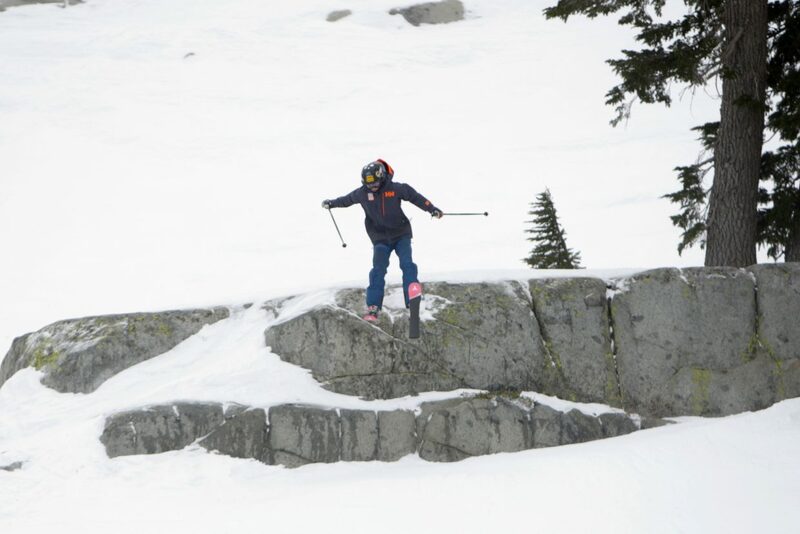 Skiers and Snowboarders will next compete in the Tahoe Freeride Squaw Alpine Junior National from Feb. 23 – 25 at Squaw Valley Alpine Meadows.